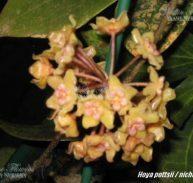 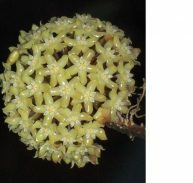 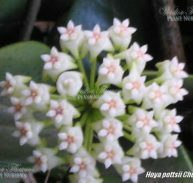 FEATURES: Hoya publicalyx cv. 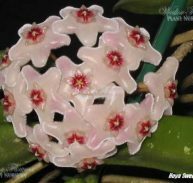 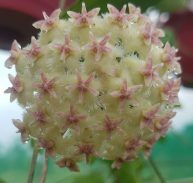 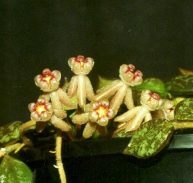 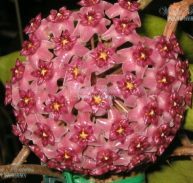 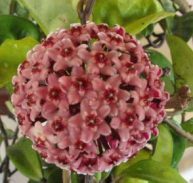 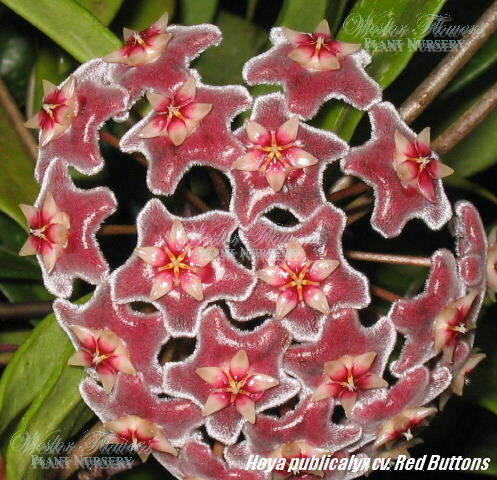 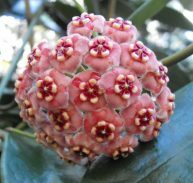 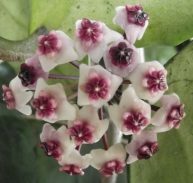 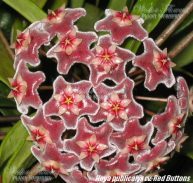 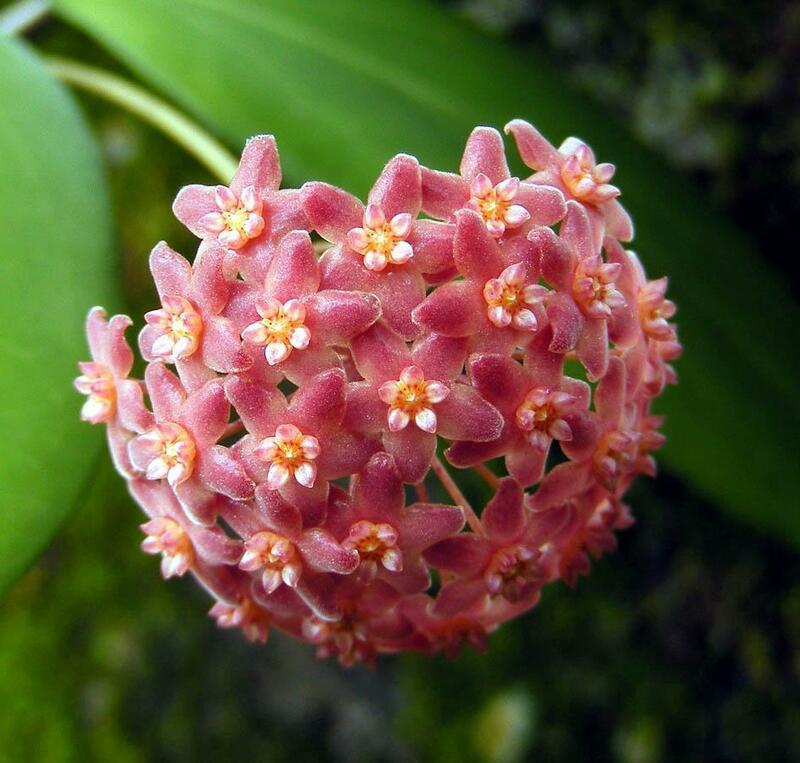 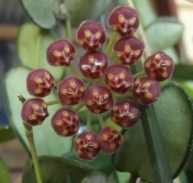 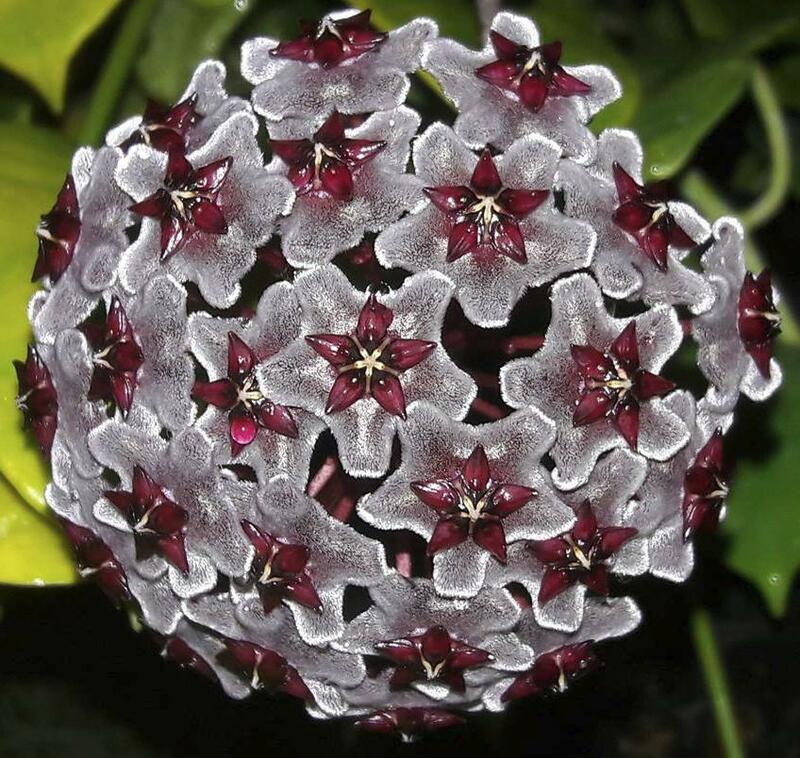 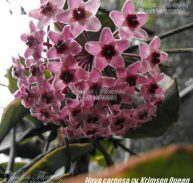 Red Buttons is a fast growing Hoya suited for baskets and ladders. 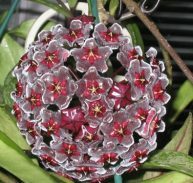 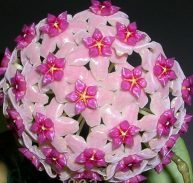 Flowers are beautifully red and are 12mm across comes in bunches of 30 to 40 in each flower hanging from along the stems. 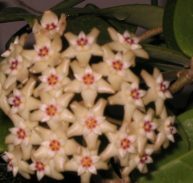 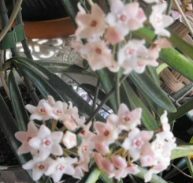 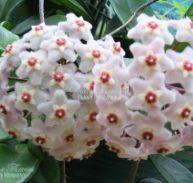 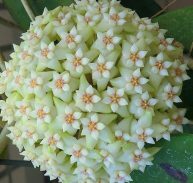 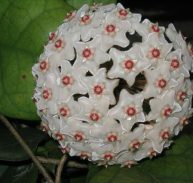 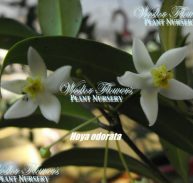 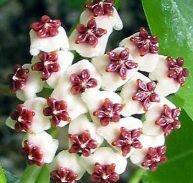 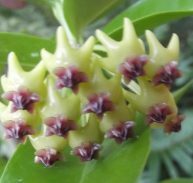 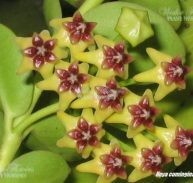 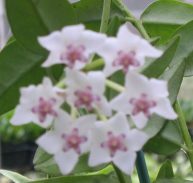 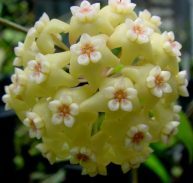 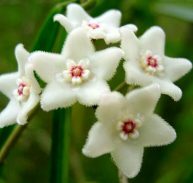 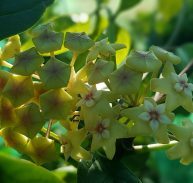 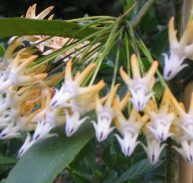 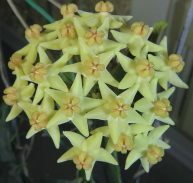 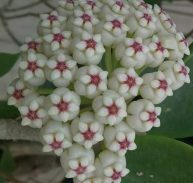 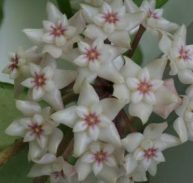 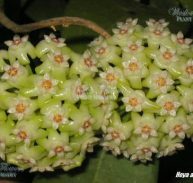 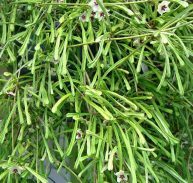 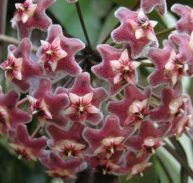 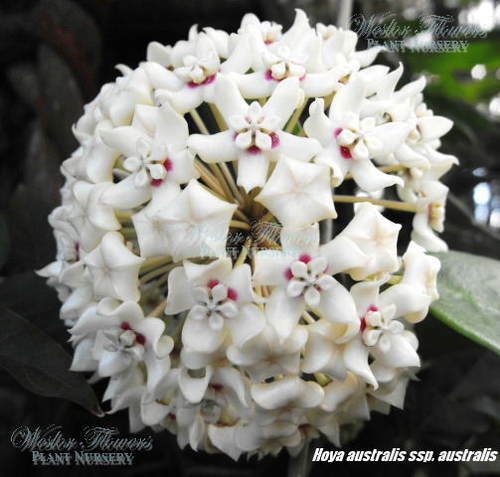 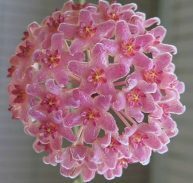 It is a hardy and easily grown it is free flowering with a good fragrance.